Freehold 4-bedroom furnished beach villa on 1950m2 (25m beachfront) close to Seririt, infinity pool, luxurious kitchen and spacious garden. Rental license available and high rental returns. Mountain villa for sale located nearby Lovina. A villa with stunning views over the mountains and ocean. A 4 bedroom villa including a space for practicing yoga and meditation. This is a beautiful modern villa for sale, located in the hills in North Bali. A villa which is surrounded by a large tropical garden. From every point of this garden, you will have a free open ocean view. This villa comes with 2 bedrooms and a modern interior design. Steam with us into the direction of Lovina and the ocean, with this ship-shaped mountain villa. A luxurious ship with stunning ocean views. Cruise with us and check all the pictures to get an impression of the luxurious saloons on board. This two floor fully furnished house is set in a wonderful and well maintained garden, the property itself is surrounded by coconut trees. A beachfront villa with views over the Balinese Sea. This small cozy home can you be your holiday house in Bali. 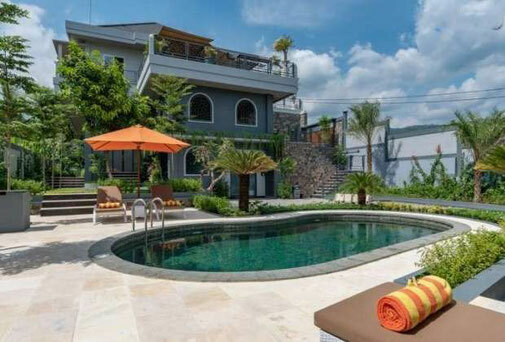 A nice villa for sale, surrounded by a tropical landscaped garden and located on a short distance from the center of Lovina. This nice villa is offering all you will need. Imagine yourself. You will float in your sun-heated swimming pool, watching the calmly rippling ocean in front of you. This sounds like a dream? Well, this tropical paradise experience does not have to be a dream. 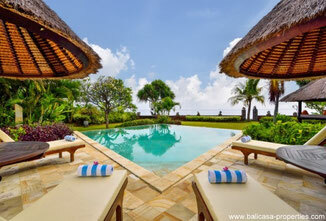 Beachfront villa which is located in Lokapaksa, a village near Seririt and west of Lovina, in the quiet north of Bali. This villa has been built in 2009 on a plot of 3000 m2. The combination leasehold and Lovina real estate is an unique one. 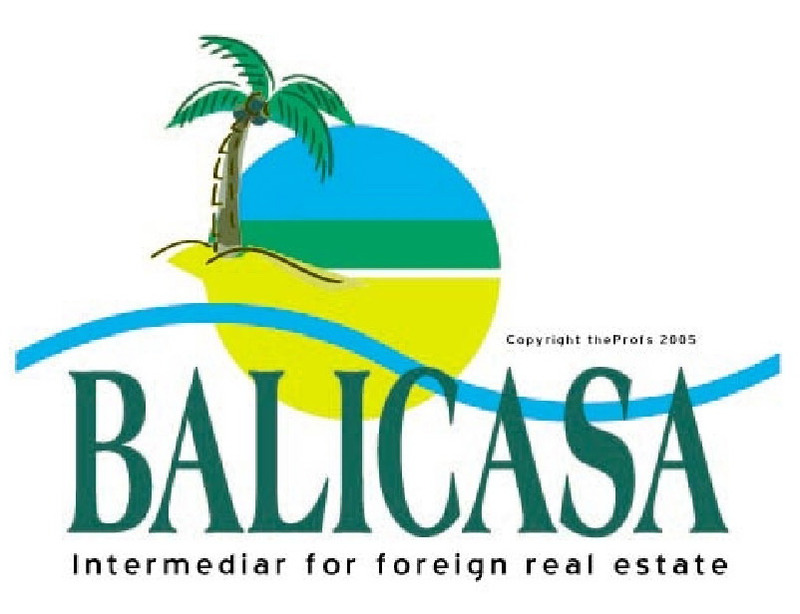 Almost all North Bali real estate is offered for sale with a freehold title. Not this modern comfortable beachfront villa. As the name of this villa secretly already reveals, the Villa is located in a stunning surrounding, right where the rice fields meet the ocean and where the beach turns into a gorgeous coral reef. This Villa is a luxurious private villa created with the best exterior and interior to embrace the beautiful nature of Umeanyar environment in North Bali. A villa with spectacular views. This design hillside villa near Lovina is an exclusive property with beautiful views over the mountains and ocean. A villa which is offered with totally 5 bedrooms and all kind of attractive facilities. 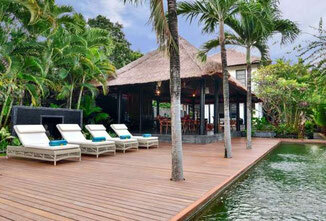 Beautiful tropical beachfront villa for sale in Brongbong. A super villa with totally 3 bedrooms. A large swimming pool and a total land surface of 4000m2. Do you like gardening? Then pay attention to this listing. 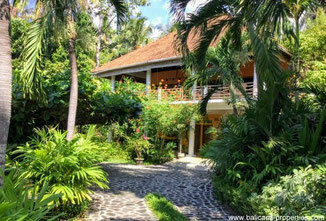 This lovely cozy home is having a large tropical garden surrounding the property. Modern new villa for sale with 3 bedrooms. Surrounded by rice fields and only about 50 meters away from the beach. A jewel with all the comforts you can wish. In the hills above Lovina, just about 10 minutes driving to Lovina center, this luxury villa can be yours. This villa has amazing hill and dramatic ocean views. A villa built nearby a waterfall. 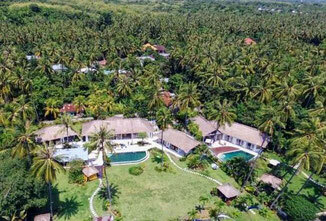 Attractive North Bali beachclub for sale. A property with a 150 meter wide beachfront. Offering space to maximum 18 people. Having various facilities available. live and run a relaxing life. This Dencarik villa is directly located on the beach. 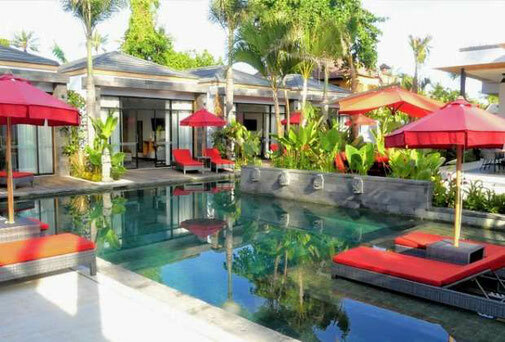 You can choose, diving into your swimming pool or directly into the Bali Sea. This Dencarik villa is for sale for a very attractive price. Attractive and cozy Umeanyar villa just about half an hour driving from Lovina center. Watching the sun going down in the ocean. It is possible to see this from the terraces of this Umeanyar villa. 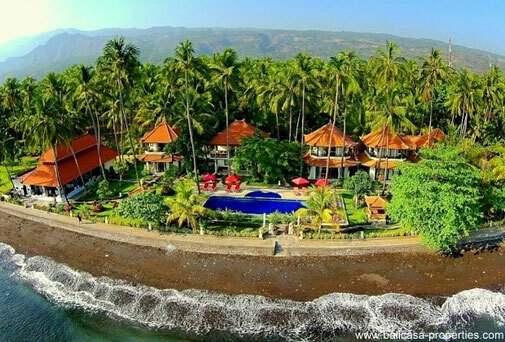 This octagonal Lovina beachfront villa is for sale. A nice villa with over 40 meters absolute beachfront.